Hashtags 101: How to Create Your Own - Something New Everyday! Many new Twitter users have a love/hate relationship with hashtags. Usually, when you start out on Twitter, you hate them – they’re confusing, overused, and they look funny. But as you become more comfortable with tweeting, you begin to realize that they are actually quite useful – they connect you to vast and varied communities you would otherwise never have discovered. If you’re interested in creating your own hashtag, whether for your business, your personal brand or your celebrity fan club, this quick how-to guide will get you started. Hashtags are a community-created way of organizing information on Twitter. And because of their grassroots origin, they are still a very open, egalitarian tool: anyone can create and use any hashtag. 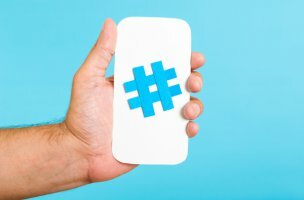 If you’re brand new to hashtags, take a look at this hashtag etiquette guide before venturing out into Twitter’s Wild West. Why create your own hashtag? The list is as long as there are reasons for using Twitter itself. Be sure that you understand what purpose your hashtag will serve before your create it. Brainstorm. You want this hashtag to represent your brand and the way you will be using it – but you also want it to be short and sweet. Come up with a list of several potential hashtags that could be used based on your business name, event, etc. Including the year works for hashtags that will be reused yearly (for annual events, for instance), and including “chat” somewhere in the hashtag is common for weekly or monthly Twitter chats. Research. Next, check to see that your ideal hashtag isn’t already in use. Since you’re looking to create a community around your hashtag, you want to start fresh – you don’t want to encroach on another community’s space. Use Twitter’s search to see if and when your hashtag has ever been used, and go down the list you created in the brainstorm until you find a suitable, quiet hashtag. Promote. Your hashtag is going to be pretty quiet if no one knows about it! Tell your ideal community – your followers, your business connections – that the hashtag exists, and let them know how you will be using it. You can send an email blast, write a blog post, put up signage in your store… use whatever promotional tools are available to you to get the word out. Monitor. Once people know about your hashtag, it’s time to use it! Make sure you monitor the chatter, and chime in whenever it makes sense. If you’re hosting a weekly chat, monitor and use the hashtag during that hour or so each week. If it’s an event hashtag, be sure to monitor it in the days and hours leading up to the event, during the event itself, and post-event for photos and feedback. Your community is looking to you to be the central pillar, so make sure no tweet goes unnoticed!